A new fantastic quality, thermal 3 in 1 jacket from the Berghaus Exclusive Range. This fantastic value 3-in-1 jacket is based on the best selling RG1 Jacket - a fully waterproof and breathable AQ2 Nylon dobby outer jacket which features a roll away hood with volume adjuster, zipped hand warmer pockets (keep you out of mischief), full length zip with double storm flap and hem drawcord. The inner jacket is a highly stylish quilted Polyester windproof jacket with Thermolite insulation for extra warmth. 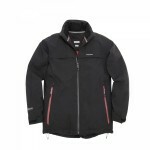 This stylish jacket, which features two lower pockets, full length front zip and adjustable shockcord hem is a highly useful stand alone garment when the outer waterproof jacket is not required. 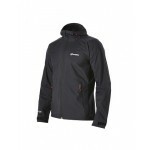 Berghaus RG Thermal 3 in 1 Men's Waterproof Jacket.